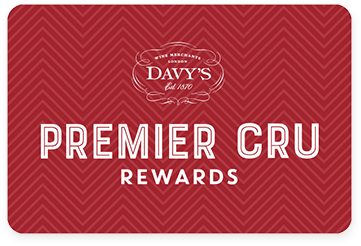 Premier Cru Rewards - Purchase this today and earn 99 points to redeem for free wine and gifts. Made from grapes grown in the area surrounding the villages of Conegliano and Valdobbiadene, in the centre of the Prosecco region, which is known for its superior quality. Exclusive to Davy’s this wine is dry and crisp with delicious flavours of apple and peach. A serious step up in quality terms for Prosecco and a great alternative to Champagne. Awarded a SILVER MEDAL at The Sommelier Wine Awards 2017. Vincenzo Toffoli learned the methods of making Prosecco in his youth when he worked in the vineyards and wineries of his home region. Progressing to buying five acres of land in 1964, Toffoli Prosecco has now flourished into a family winery with Vincenzo’s son, Gabriele, leading the operations of the winery and his other two sons, Sante and Luciano, helping in the vineyard. The family now owns 12 acres of land and all vines are picked by hand. Their best vineyards are located in the area surrounding the villages of Conegliano and Valdobbiadene, in the centre of the Prosecco region, which is known for its superior quality. A serious step up in quality terms for Prosecco! View our selection.